Written by David Javerbaum and Adam Schlesinger, the song incorporated tips of the hat to many of the nominated shows including, Sister Act, The Book of Mormon, Anything Goes and more. 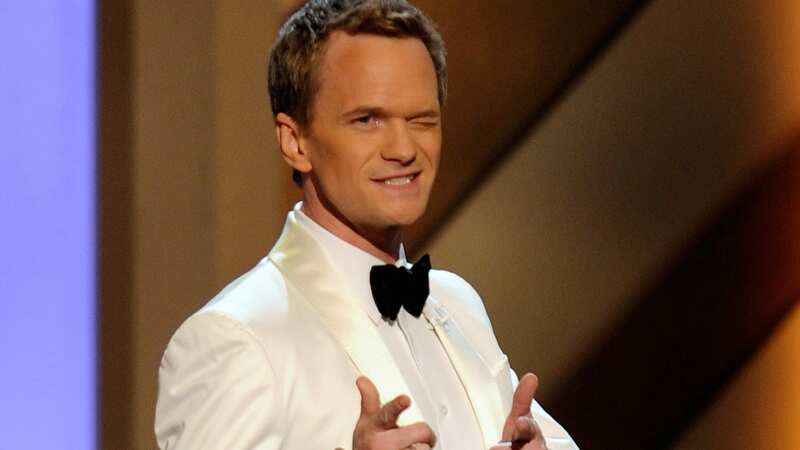 But beyond the typical Tony opener homages (and the spectacular performance from everyone’s favorite openly gay “teen heartthrob,” Neil Patrick Harris), the number cleverly played on several theater lover, Jewish, and gay stereotypes claiming that “Broadway has never been broader… It’s not just for gays, the gays and the Jews” anymore. As actor and comedian, Eric Idle explains about Broadway stereotypes regarding Jewish involvement for an interview included in the documentary Broadway Musicals: A Jewish Legacy. “It’s not funny unless it’s true, and people only laugh because it is true.” Harris’ lines may be comical, but where do these stereotypes come from and is there truth in the claim that the composition of Broadway casts and audiences are changing? After taking a moment to watch the video below and bask in the glory of everything that is the incredible Neil Patrick Harris, watch the video again and pay close attention to the stereotypes which Javerbaum and Schlesinger incorporated. Beyond the kick lines, costume changes and audience participation, the song is meant to play on two of Broadway’s most prominent stereotypes, that Broadway is primarily comprised of gays and Jews. These stereotypes are not unfounded, and as David Halperin writes in his book How to Be Gay, “a stereotype doesn’t have to be generally valid in order to contain some truth”(Halperin). Both the Gay and Jewish communities have had a long history of involvement on Broadway. As explained in PBS’s documentary, Broadway Musicals: A Jewish Legacy, long “before Broadway set up home near Times Square in the early 20th century it was a lively theater that thrived downtown on the lower east side, where ‘Yiddishkeit’ meaning all things Jewish took center stage.” It was here where Jewish immigrants first began to make their mark on the history of Broadway as a method of assimilation. As Warren Hoffman suggested during his on-campus lecture “Jews, Whiteness and the Broadway musical,” Broadway has long been a place for minorities, (especially white minorities) to take on new roles and find an inclusive community. Although Hoffman was explicitly focusing on Jews while making this argument, the same logic can be extended to include diversity in sexual orientation to some extent as well. Among the many reasons to be drawn to musical theater, it can be argued that a significant original reason which attracted white minorities was the acceptance provided by the theater. Unlike minorities of color, Ashkenazi Jews and white members of the LGBTQ community were able to blend in on stage. This ability freed them from the great limitations race often played and continues to play in casting. Free of the limiting factors of race, yet still not fully accepted by much of society, Jewish, and later LGBTQ, Americans were drawn to the theater, which offered a chance to make it in America and design a community who would accept them. While the main focal point of the song is distinctly Jewish and Gay stereotypes, the characterization of Broadway audiences should not go unmentioned. Like any good joke, the trope of Broadway audiences as tourists, professional theater critics, geeky senior citizens, and suburbanites, is primarily grounded in truth. According to The Broadway League, who has collected years of demographic data of Broadways 13.3 million audience members in 2016-2017, “the New York City audience accounted for only 22% of theatergoers,” and “another 18% came from surrounding suburbs. 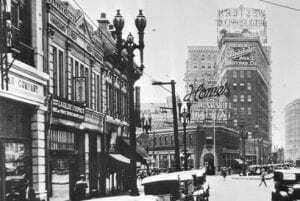 Further, as the song alluded to, tourists purchased approximately 61% of all Broadway tickets” (The Broadway League). Despite these numbers, as Harris suggested back in 2011, the composition of Broadway audiences is widening. In 2016-2017, “Twenty-five percent of respondents were under 25 years old,” and the percentage of New York residents seeing shows was the highest it’s been in the past fifteen years. This statistic, however, is somewhat curious. In the age of instant video streaming, why would the demographics of theatergoers be expanding? Both research conducted by The Broadway League (TBL) as well as the results found by Jeffrey S. Simonoff and Lan Ma in their paper “An Empirical Study of Factors Relating to the Success of Broadway Shows” had an indirect, although interesting, answer to this question. Simonoff and Lan Ma assessed that award nominations and reviews are not as critical as one might think in a show’s success. Contrary to popular belief they stated that “Critic reviews in the daily news are related to longevity as would be expected, but, in contrast to earlier investigations, reviews in the New York Times are unrelated to the success of a show” (Simonoff and Lan Ma). Instead, as corroborated by TBL, what is more important is the general public attitude toward the show. Research collected by TBL found that “theatergoers reported a personal recommendation as the most influential factor when it came to selecting a show to see” (TBL). This fact may partially explain the changing demographics of Broadway audiences, as well as the over all expansion. Much like Broadway’s beginnings which had an overwhelming minority presence of Jewish actors and influences, we once again see the stage becoming a sort of assimilation platform for minority actors. 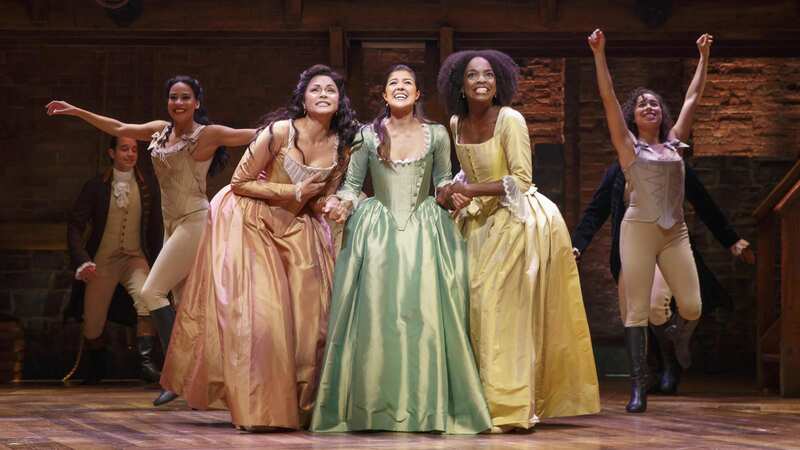 According to a study by the Asian American Performers Action Coalition, Broadway casts are the most diverse they have ever been “with 35 percent of all roles going to minority actors, up from 30 percent the previous season and 24 percent the year before that” (New York Times). With this new diversity, it is not surprising that more diverse casts would appeal to a wider crowd and most importantly, create more favorable personal recommendations from a broader set of audience members and critics. Although the lyrics make the most overt statements in the song, there is also a significant point to be seen in the choreography, without focusing on the words at all. 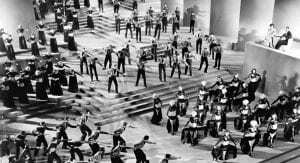 In his Doctoral Thesis for the University of Birmingham, James Michael Lovelock points out that among the many homages nested within the performance, “the vintage choreography [also] paid homage to Busby Berkeley with its use of box steps, kick lines and canon” (Lovelock). 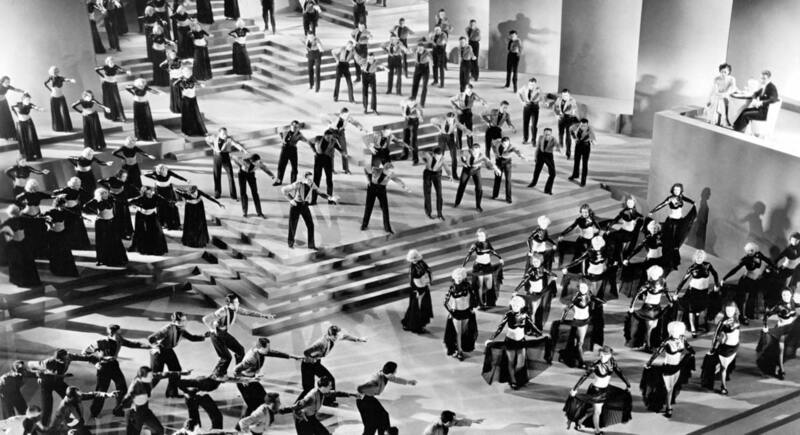 As a Tony award opener this golden age style seems fitting, but the over the top celebratory nature of the Tony awards is not the only reason to choose such a dated style. Despite the song’s lyrics, its proclamation of inclusivity (for heterosexual males) was delivered by a gay actor in a sparkling purple tuxedo and promoted anything but heteronormativity. Lovelock writes that “It is difficult to imagine a similar number being written in the style of Andrew Lloyd Webber, Maury Yeston or Lin-Manuel Miranda, or any other musical theatre composer since Jerry Herman ”(Lovelock), suggesting that these modern styles, while to some extent more inclusive, also have taken large steps to recover the heteronormativity of Rodgers and Hammerstein. By playing on this difference between old Broadway and today’s modern style, Javerbaum and Schlesinger brilliantly create a contrast between the old Broadway and the “new” more inclusive Broadway which Harris is alluding to. Despite recent changes in the composition of Broadway, one thing is certain. The incredibly rich history and powerful contributions both the Gay and Jewish communities have given to Broadway will never go away, never be forgotten, and no matter how much change occurs, will continue to grow. If you loved his first Tony Award show opener I highly suggest watching his 2012 and 2013 ones as well!